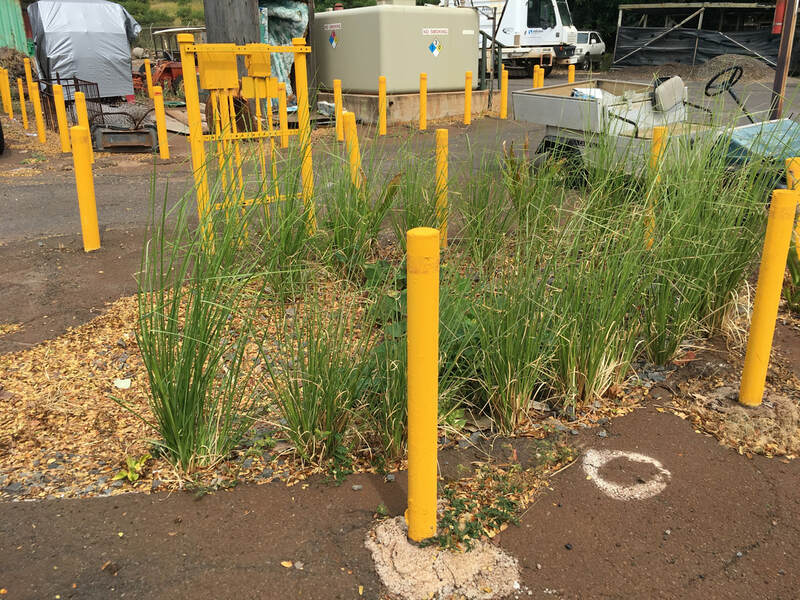 Mahalo to Ka'anapali Operations Association for taking action and allowing us to showcase the stormwater improvements they made at their baseyard! 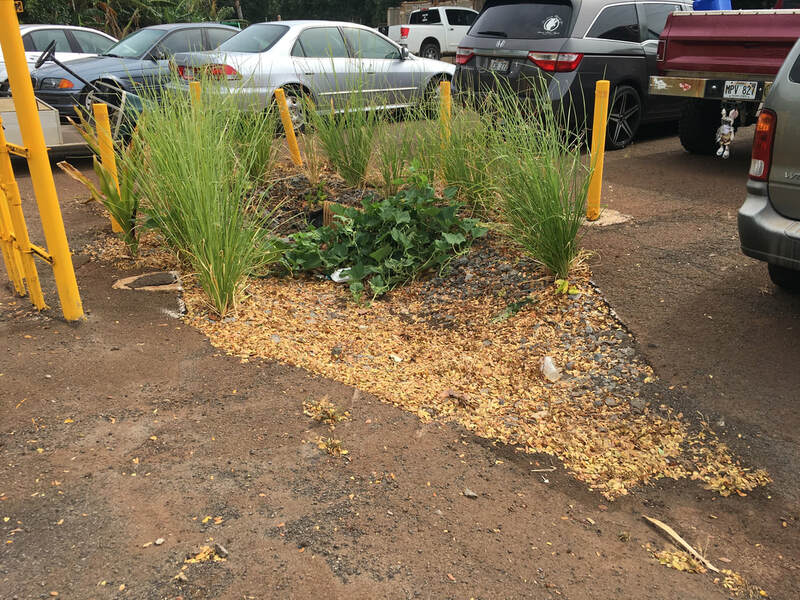 With some simple enhancements using gravel and plants, KOA created a filtration zone in their wash-down area, to reduce pollutants from the wash water (primarily from hosing down vehicles) from getting into the storm drain at the edge of the property. 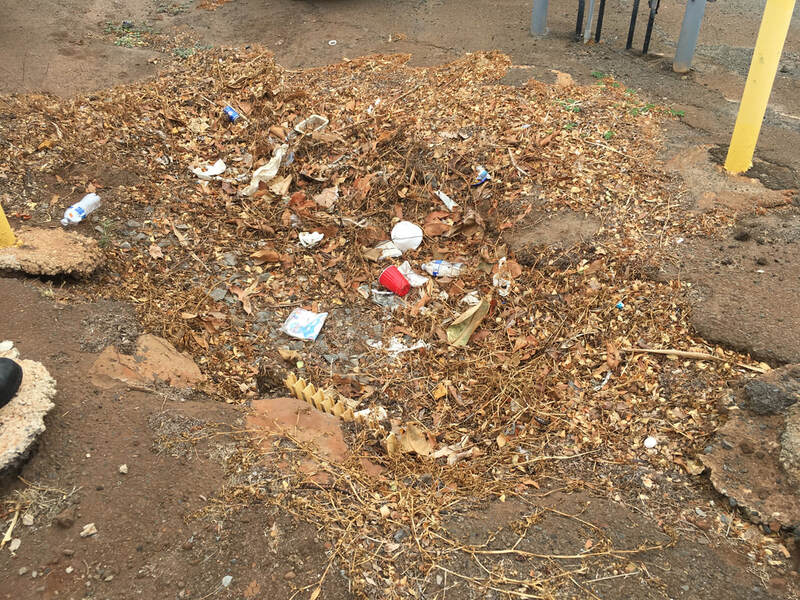 The adorable little fence also assists in catching debris that can be removed by hand. ABOVE: The area in the middle of KOA's baseyard parking area BEFORE they installed a simple rain garden (BELOW), using mulch, gravel, and plants. Now, it looks great, it filters the runoff from the parking lot, and it provides sweet potatoes that can be harvested!